An upcoming summit will bring together the last remaining speakers of three indigenous languages of Alaska, organizers said Friday. Nearly 70 speakers of Tlingit, Haida and Tsimshian are expected to attend the three-day event in Juneau that begins Tuesday, according to Sealaska Heritage Institute officials. The institute has counted 133 speakers of those languages who live in the region or who are affiliated it. 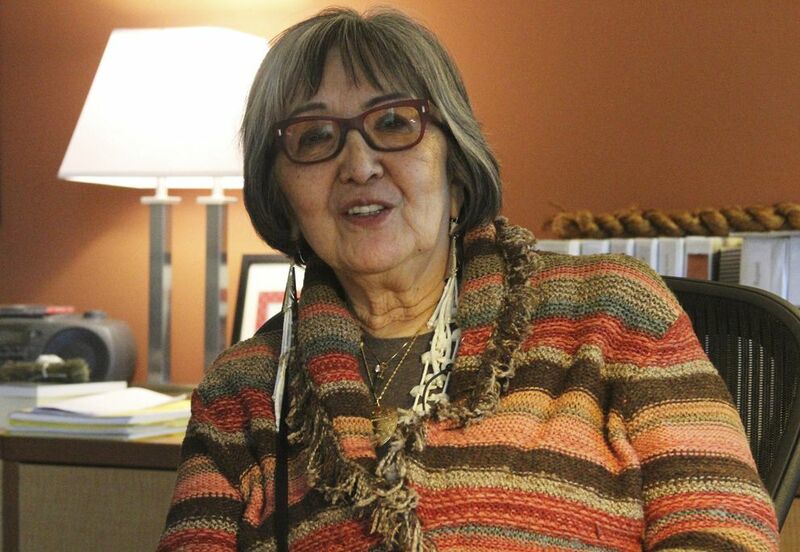 The summit is among multiple language revitalization efforts by the nonprofit organization, institute President Rosita Worl said in a phone interview. The event follows a September action by Gov. Bill Walker, who declared an emergency for Alaska Native languages. The order was prompted by a report this year that warned the languages could become extinct by the century's end. Worl, however, said she refuses to say the languages are dying. Much work has been done and is being done by Native people to ensure their languages survive, she said. The summit will honor and recognize those who have held on to their languages. "People might think that we are in mourning because we are losing our fluent speakers," Worl said. "I want to celebrate our fluent speakers. I want to celebrate that they were able to retain our Native languages even in the face of all of the forces to suppress Native languages." Other participants will include specialists who learned and teach the languages, advanced language learners and people who understand the languages but don't speak them. The free event will be open to the general public to observe, but not participate, in the proceedings. "The other objective is to be able to hear conversational — natural conversational — Native languages spoken," Worl said. "More often in the schools, you know, they're learning vocabulary, they're learning phrases. But here, they'll be able to actually hear it in conversation." The summit will be live-streamed and videotaped for the institute's archives.